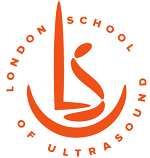 This library of ultrasound video clips was created as a part of theUltrasound Link project. It was an exciting, however also difficult and time consuming task. We are proud to present these training fetal echo videos about diagnosis of cardiac anomalies at 11-13 weeks. The clips are a representation of our understanding of CHD a few years ago (2012). After this time we have had major breakthroughs in understanding the aims and ways of early detection of heart defects. We have diagnosed hundreds of new cases. We believe that the majority of CHD are detectable at 11-13 weeks by use of very simple techniques. Our understanding and ultrasound technical skills are improving every day. We are happy to share all our knowledge with other professionals. Please join our courses to obtain a state of the art vision on Fetal Cardiology at 11-13 weeks. How to detect cardiac anomalies at 11-13 weeks by direct scanning of the heart.